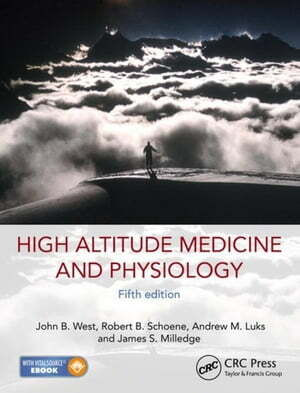 Collins Booksellers - High Altitude Medicine and Physiology 5E by West, John B., 9781444154337. Buy this book online. A comprehensive update to this preeminent and accessible text, this fifth edition of a bestseller was developed as a response to man's attempts to climb unaided to higher altitudes and to spend more time in these conditions for both work and recreation. It describes the ever-expanding challenges that doctors face in dealing with the changes in human physiology and particular medical conditions that arise from exposure to altitude and cold. The highly respected authors of this fifth edition are internationally recognized for their academic research in the field, and are all experienced mountaineering physicians who have dealt with illness and accidents in high places. They continue to provide a text that will help physicians to improve the health and safety of all people who visit, live, or work in cold and thin air conditions experienced in high mountains. High Altitude Medicine and Physiology is invaluable for any doctor accompanying an expedition or advising patients on a visit to high altitudes, physicians specializing in illness and accidents in high places, and physiologists who study our dependence on oxygen and the adaptation of the body to altitude.